Spring is the season of… mortgages? So, you were cooped up together all winter and realized you had fallen out of love… with your house. You stared at the same walls and little things started to drive you crazy… like that one crack in the corner, or the picture window without a view. Maybe the bedroom’s too small or the kitchen galley leaves no room to cook. This is completely normal. Spring is the time of year when people get out and attend real estate open houses hoping to make a meaningful connection with a new home. Poor Credit Score. The average credit score is rising as people are paying more attention to their credit. The better your score, the better your interest rate will be. FICO scores in the mid-700’s will get you the best rate. Employment History. We all know that these are difficult times, and your employment will affect your application. If you’re newly employed, or there are unexplained gaps in your employment history, it can cause you trouble. Compensation. This means income. If you’re like most people, your weekly employment check is your only source of compensation. Or, you could have a fluctuating income because you’re self-employed, or work in a field where bonuses and commissions make up the biggest portion of your salary. If that’s your situation, your lender will view your up-and-down income as a red flag. Can you make monthly payments if you have cash flow issues depending on the season? Down Payment. Gone are the days of the zero down mortgage with 100% financing (meaning the bank gives you a loan for the whole sale price). If you can put a big chunk of cash towards down payment, and still keep a nice buffer in savings for emergencies, you’re going to look really attractive to the lender. Excessive Debt. This can hurt you two ways – first by lowering your credit score and secondly by giving you a higher debt to income ratio. The lender’s going to wonder if you can make mortgage payments when you have so many other monthly payments on your plate already. The number 1 thing you can do to avoid these issues, is to plan ahead. 1. Have money in savings to show the lender you can deal with whatever happens. 2. Pay down your debt, but don’t close your credit cards. You need to show you have a current credit history (ideally a minimum of 2 years and 3 creditors minimum). 3. Review your credit reports and correct any errors. 4. Take steps to improve your credit score. 5. Don’t make a big purchase just before taking out a mortgage. Don’t take out a car loan or lease, and don’t make a big purchase with cash. The first increases your debt and the second reduces your savings. If you take some time to plan for your new mortgage, you’ll get the best interest rate possible for you. This is a great time to take advantage of those new low rates. Are you tired of hearing about low mortgage interest rates? You’re not alone. Many of us don’t have enough equity in our homes to refinance – thanks to falling home prices. Homeowners who are underwater need rate reductions more than anyone, but they’re finding it difficult to get them. If you have a FNMA (Fannie Mae) or FHLMC (Freddie Mac) mortgage, and are current with your payments, there might be a way for you to get a lower rate. The Home Affordable Refinance Program (HARP) has been extended. This program was established in 2009 and is designed to assist people who cannot refinance with traditional mortgages because their property values are too low, and therefore do not meet underwriting qualifications. The mortgage must be a Fannie or Freddie mortgage. The payment history must be current and not have any late payments in the recent past. You must live in the home. This does not apply to investment property. You must be able to afford the new payment. The new payment must be more affordable or more stable. You may want to look into this program – especially if you have an adjustable mortgage and are planning on staying in your home. This is a great time to get that rate fixed. I don’t think they can go any lower. 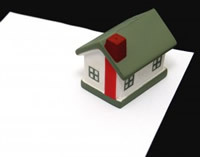 You will need to discuss your individual circumstances with your lender to see if you qualify. Talk to your mortgage professional today! You never know when the rates will go up. “Refinance, refinance, refinance!” That’s what everyone is saying. Yes, rates are low – maybe the lowest they’ll be. You can never tell… until they go up and you’ve missed your chance. Question 1. How long do you plan on living in your current home? If the answer is “not long” then it’s probably not worth the cost of refinancing. Do the numbers test below. Question 2. Are you refinancing to pay off your mortgage faster or to lower your monthly payment? You really should know the answer to this question before you refinance your home. Lower monthly payments are going to look awfully tempting if you’ve got a big wish list or a tight budget. Let’s look at your options. Most people have heard of 15 and 30 year mortgages, but you can actually refinance mortgages in 30, 25, 20, 15 and 10 year terms. Do what’s right for your budget. Refinancing is a long-term numbers game. Many people think that a low mortgage payment means money saved. That’s not necessarily true – it may simply mean you have more spending money this month, but you will have much less money for yourself over the next 20-30 years. How can you tell? To find out, let’s do some math! Get out your pencil and get ready to write down some numbers. Step 1. Take the estimated refinance principle and interest payment and subtract it from your current principle and interest payment. This will be your savings per month. Step 2. Assume that the closing costs of the refinance will be about 4% to 6% of the mortgage amount. Example: Closing costs would be $10,000 on a $250,000 house if they charge 4%. Figure out your closing costs and write that down. Step 3. Take the number from step 1 (your monthly savings) and divide that into step 2 (your closing costs). This is the number of months it will take you to recoup your closing costs. Example: If your refinanced payments will be $200 less your current payment, and your refinance closing cost will be $10,000, it would take you 50 months (over 4 years) to make up the difference. Now that you know how long it will take you to recoup your costs, you should decide whether you’re going live in the house that long. If you plan to move before you can make up the difference, don’t refinance. Recently, several banks have stopped foreclosure proceedings in states that require judicial foreclosures A judicial foreclosure means that the final proceedings require court action Ideally, a judicial foreclosure offers additional protection to the homeowner, because the bank has to prove that payments have not been made Connecticut is one of those states that has a judicial foreclosure process. Now, banks are saying that they have potential paperwork problems and are taking more time to review their internal processes and documentation before presenting them to the court system. Any foreclosure is, traditionally, a long process with a tremendous amount of paperwork involved With the current mortgage crisis coupled with the economic downturn, banks have been overwhelmed with the foreclosures When you add the multiple bank mergers of the past few years (with files being transferred from one corporation to another), you can see the potential for incorrect and/or missing paperwork According to the latest news, it does seem that a few of the major banks need internal paperwork review before proceeding. What does this mean to you? If you are somewhere in the foreclosure process, this is going to delay the process for you I don’t believe that banks are going to stop the foreclosure process and give you back your home Wouldn’t that be nice? Only time will tell if the bank has all the proper paperwork in order to proceed. Are you trying to sell your home? Are you finding the process challenging to say the least? There might be another option for you and your potential buyers. That option is a lease to purchase agreement This is when a potential buyer rents or leases your home for fair market value AND pays additional money towards the future purchase of the home. Let’s say someone is interesting in buying your home He isn’t financially prepared to buy a home in your price range today, but he will be ready in a few years Instead of letting the potential buy get away, you can sign a lease to purchase contract That means that he agrees to rent the home from you for a specified time period, and during that time period, you agree not to sell the house to anyone else. In a lease to purchase contract, the potential buyer pays rent plus an additional amount towards the purchase down payment Let’s say your agreement covers a period of 2 years and your potential buyer pays you monthly rent of $1,000 plus $300 towards the option to purchase your home Over a 2 year period, the buyer would have have paid $7,200 towards his down payment. If the potential buyer doesn’t go forward with the purchase by the time the contract is up, the down payment money is typically yours (the seller’s) to keep. Although they’re not widely used today, lease to purchase agreements have been around for years They offer security and income for a seller who needs to move right away, and an opportunity for a buyer to turn his rent into an investment. If this option is of interest to you (buyer or seller), discuss the specifics with your realtor and attorney, so that you can understand all the details and make informed choices as to what is best for you. Home Sellers, What’s Hiding In Your Home? All these will make your home more visible. But what happens when you scratch the service? Is something hiding in your home that could make or break the sale? Most people think of an inspection when it comes to purchasing a home. But, you might be surprised to learn that more and more sellers are having their own homes inspected before they sell. Knowing about property issues allows you to decide whether you want to make repairs or upgrades up front or offer a financial incentive to the buyers. That way, needed repairs won’t jeopardize a potential sale down the road. What is a home inspection? A home inspection is a visual inspection of the physical structure of your home and it’s systems from the very top (roof) to the very bottom (the foundation). An inspection is not to be confused with an appraisal. Appraisals determine your home’s market value based on recent sales of similar homes in your area. Inspections make you aware of problems in your home that could reduce its sales value. Those problems could be cosmetic or structural. Once your inspection is completed, you’ll receive a report on the physical condition of the home. Repairs suggested could range from relatively small (like peeling paint or loose tiles) to major (like heating system upgrades, roof replacement, or insect damage). While that might sound terrible, the advantage is actually yours. As the homeowner, you’ll know about issues that could affect the sales price, and what steps you can take to help your bottom line. If you’re lucky, you might have fairly simple issues to resolve. If you can fix them yourself, you can ask for a better purchase price for your home. If the issues are costly, requiring a professional, you can decide whether to pay to have it done yourself, or sell the home as-is at a reduced selling price (meaning that known issues will be the responsibility of the buyer). Either way, knowing the structural issues up front can help prevent delays in the sale. A word of caution: If you find problems but elect not to repair them, be sure to tell your realtor! You realtor will want to disclose this information to all potential buyers. In some states, you can be liable for damages if you, or your realtor, knew about problems but didn’t disclosed them to the buyer. A home inspection isn’t free, but it will more than pay for itself when it helps you achieve a successful sale. Reader Question: Mortgage interest rates seem to be coming down, how do I know if it’s a good time to refinance? Take the refinance principle and interest payment and subtract it from your current principle and interest payment. This would be your savings per month. Assume that the closing costs of the refinance will be about 4% to 6% of the mortgage amount. Example: Closing costs would $10,000 on a $250,000 house if they charge 4%. Figure out your closing costs and write that down. Take the number from step 1 (your monthly savings) and divide that into step 2 (your closing costs). This is the number of months it will take you to recoup your closing costs. Now that you know how long it will take you to recoup your loss, you should decide whether you’re going to be living in the house that long. If you are sure that you will be there past the months it will take you to recoup the closing cost, then refinancing might be a good idea. If not, then don’t refinance.